Video content is more popular than ever, and it's only going to get bigger. One of the reasons it's so huge right now is because technology has allowed for high-quality streaming on any device. But the main reason behind its popularity is that people respond to visuals: a picture is truly worth a thousand words, and visuals tend to stick with us for longer. This means that video can be used as a tool for learning a foreign language, such as Spanish. 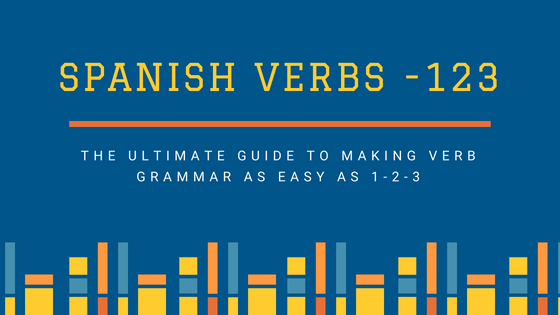 Instead of having to flip through the pages of a boring textbook, you can watch Spanish video lessons and learn a bit of Spanish every day in a way that is engaging and entertaining, and will help you memorize what you have learned a lot easier. Since there are so many different video resources out there for learning Spanish, we have selected the best ones for you, so keep on reading for more information. LingusTV has a ton of video lessons in Spanish. Each clip is fairly short and focused toward helping you hold a conversation. Videos are organized by level (beginner, intermediate, and advanced). For instance, videos made for beginners are designed to help you describe things from your daily life. Intermediate videos, on the other hand, will help you figure out how to talk about more concrete stuff, such as your hobbies, while using future tense. Advanced users will have a chance to learn how to express their emotions in Spanish, or even more subtle things, such as sarcasm, or irony. Another plus is that each video comes with captions, as well as full transcription, translation, and a set of notes which highlight the most complex parts of the lesson. The entire course is pretty accent-neutral, as well. However, be aware that these videos sometimes deal with adult language and situations, which may not be suitable for all ages. FluentU uses actual videos from YouTube as lessons. This means you can choose the clips that you find the most interesting, such as movie trailers, music videos, TV show clips, and even vlogs, and use them to learn Spanish. Each video is accompanied by a caption, but that's not all. Each caption is interactive, which means you can look up a definition for every word, see how it is used inside a sentence, or find an image of it. You can even deepen your research and view other videos which contain the word or phrase you are trying to learn. For those who prefer more traditional methods, there are also quizzes and flashcards which will help you refresh your knowledge and memorize the words. FluentU allows you to fully customize the learning process by choosing the subject matter and learning at your own pace. On top of that, you can download it as an app for your portable device. Nobody likes learning conjugations, whatever the language. However, if you are trying to learn conjugations in Spanish, we may have found just the thing you need. Sr Mara’s YouTube channel offers a series of hilarious videos which are performed by Spanish students in a fun and enthusiastic way. They rely on the beat of a pop song to deliver the Spanish conjugations, which even rhyme, and are guaranteed to stay inside your mind. Another important aspect of mastering Spanish, as well as any other language for that matter, is learning proper pronunciation. What really helps the learning process is the attitude of the presenter, known as The Spanish Dude, who infuses each video with a healthy dose of humor. He is also quite open about how he came to learn the language, and encourages those who watch his videos to overcome their fear of making a mistake or being wrong, which is often what holds us back when learning a foreign language. A lot of the videos are there to encourage you to speak in public as a method of practicing what you have learned so far. There are plenty of videos which discuss using Spanish in a restaurant, your local grocery store or the supermarket, or while waiting for a bus. You will find that most videos here are not as produced as some of the others out there. But there are literally hundreds of them, which means there is something here for everyone. For easier navigation, all the videos can be browsed according to skill level or according to topic. And believe us, the sheer variety of topics is amazing. Each video lesson is presented by a native Spanish speaker. You can even learn regional accents, because the speakers are not just from Spain, but also from all Spanish-speaking countries. Beginner videos focus on simple topics and use fairly basic Spanish words which are easy to learn. But it is the advanced lessons where this resource really shines. You won't find many places online which are there to help advanced speakers perfect their Spanish, but this one does it so well. For example, you will find lessons which discuss Japanese instruments, or Portuguese national dishes, which is not something you would usually come across in everyday life. If you are having trouble learning all the Spanish pronouns, then you might want to check out this resource. This one also uses a well-known song in order to convey an important lesson, and it works like a charm. By the time you have learned the short, catchy song, you will have memorized all the pronouns. Another way you can practice Spanish pronouns is by looking up images online featuring individuals or groups of people pointing to themselves or each other. By including visuals, you will be able to recall each pronoun much faster, and you won't be able to forget them so easily. In this day and age, learning a foreign language, just like anything else online, is right there underneath our fingertips. All we have to do is make a small effort and start the learning process. With these helpful tools and resources, you will be able to master Spanish in a way that is engaging, memorable, and suited to your own schedule and preferences.